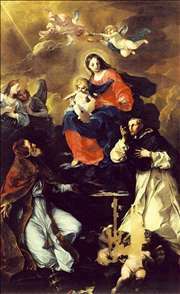 Baroque painter, noted for his altarpieces, part of an Italian family of artists. His brother was Giuseppe Torelli, (1658-1709) a violinist and composer who contributed to the development of the instrumental concerto, especially concerti grossi and the solo concerto. His son, Stefano Torelli (1712-1780) was also painter. His wife Lucia Casalini (1677-1761), was an esteemed portrait artist sometimes known as the "Bolognese Rosalba", with reference to Rosalba Carriera. 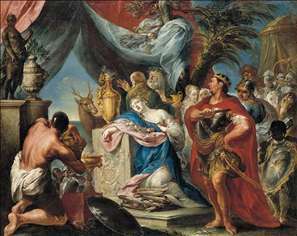 See more details about "The Sacrifice of Iphigenia"
See more details about "Virgin and Child with Angels and Saints"